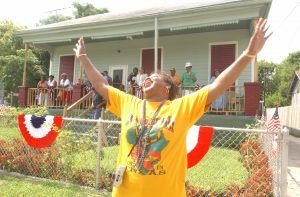 Across the nation last week various communities celebrated Juneteenth with a parade, festival, or both. The holiday is the best-known emancipation celebration in the United States, commemorating June 19, 1865, the day that Union troops under the command of General Gordon Granger arrived in Galveston, Texas with the announcement of the abolition of slavery. Until Granger’s arrival, some enslaved Texans were unaware of the end of slavery. 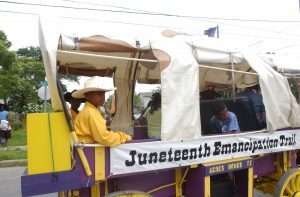 Growing up in a military family, I fondly recall attending Juneteenth celebrations in most of the States I called home. The festivities included speeches and actors recreating events in the life of historical figures, such as Frederick Douglass and Harriet Tubman. There were also games, music, arts and crafts, and great food! The holiday brought together a diverse population of my local community to commemorate this event and celebrate African American heritage and culture. 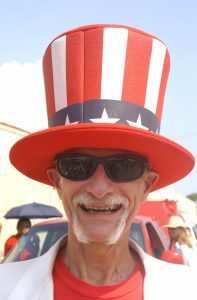 Juneteenth celebration in Galveston, Texas June 19th, 2002. Photograph by Steven M. Cummings. ACMA_03-055_GT0064. 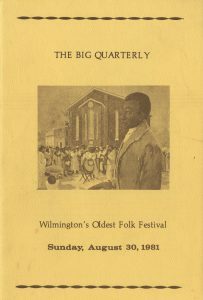 Years later when I started working in the Archives at the Anacostia Community Museum, I was thrilled to discover the museum held Juneteenth community festivals from 1989 to 1998. In addition, the museum documented Juneteenth in Galveston, Texas for its 2005 exhibition: Jubilee: African American celebrations exhibition. Our archival holdings consist of a sizable collection of contemporary Juneteenth materials, from photographs and programs to video recordings. We are now hard at work on an onwill be more accessible as we move towards making our collections more publicly accessible online. 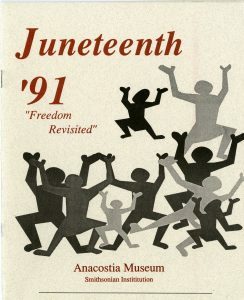 Juneteenth ’91, “freedom revisited” publication by Betty Belanus and the Anacostia Museum. 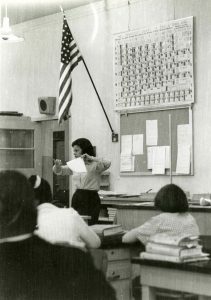 As Women’s History Month comes to a close, we would like to highlight the achievements and influence of high school chemistry teacher Elaine M. Kilbourne (1923-2014), who taught locally from 1948 to 1993. A collection of scrapbooks and other memorabilia she compiled was recently donated to the Museum by her friend and former student, Mr. Guy A. Toscano. It documents her distinguished career as a teacher and educator, and her ability to mentor and inspire generations of students. Elaine M. Kilbourne, Anacostia History School Chemistry class, undated. 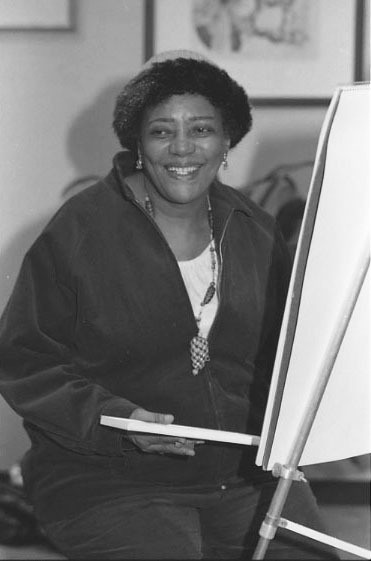 During her tenure at Anacostia High School in Washington, DC (1948-1968), and later at Thomas S. Wootton High School in Rockville, MD (1979-1993), Ms. Kilbourne earned a national reputation for her teaching. She pioneered the use of experimental and hands-on learning in her classroom, even discussing “atomic and ionic dimensions and molecular structure from student-constructed models”. 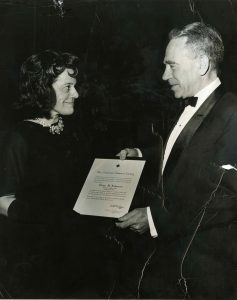 In 1958 and 1963, Ms. Kilbourne received Principal Awards for Excellence in Science Teaching by the District of Columbia. 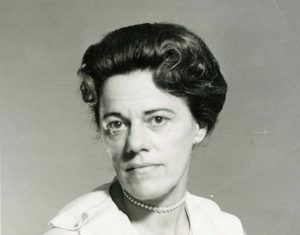 The American Chemical Society recognized her contributions to the STEM field with numerous awards, including the Second District James Bryant Conan Award in High School Chemical Teaching in 1967. 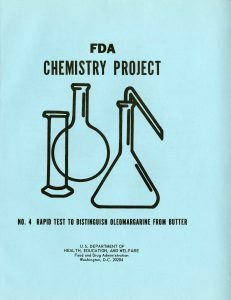 Not a person to rest on her laurels, Ms. Kilbourne created a series of national curricula for high school chemistry seniors while serving as Science Education Specialist for the Food and Drug Administration, U.S. Department of Health and Human Services. She also worked for the National Science Foundation’s summer program, training chemistry teachers. 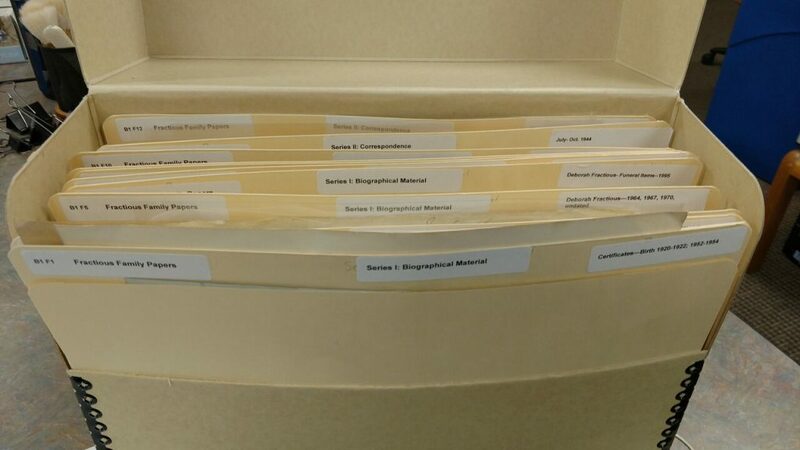 This is one of ten science projects written by Ms. Kilbourne, while she worked as a Science Education Specialist at the Food and Drug Administration. Throughout her long career, Ms. Kilbourne demonstrated a passion for chemistry and a keen ability to influence students’ learning achievements. Her impact is evident in the letters and notes of appreciation she received from students, which are preserved in her scrapbooks. Actions speak even louder than words, and as one of her awards noted, an “average of nine to ten of her students per year” went on to major in science at college, leading in several cases to illustrious careers in STEM fields. Ms. Kilbourne graduated from Eastside High School in 1940, received her B. A. in Physical Sciences from Montclair State Teachers College in 1944 and completed a M.A. degree in Student Personnel Administration at Columbia University in 1947. The collection contains limited personal information, and I am left to wonder about this remarkable woman’s early life and school experiences, what sparked her interest in chemistry, and how she experienced being a woman science teacher during the mid-20th century. What is undeniable is that she contributed to the advancement of STEM education, and that she instilled a love of learning in generations of Washington, DC area students. 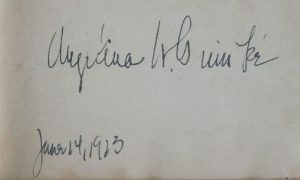 Her contributions are now duly documented among the Museum’s collections. 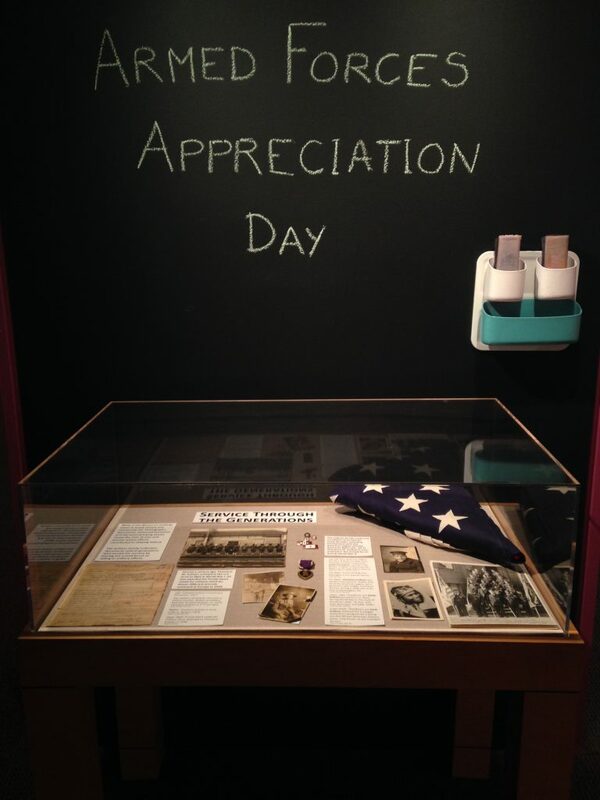 In honor of Veteran’s Day, the Museum is showcasing the Sullivan Family Collection. Several generations of Sullivans served the country by joining the armed forces or otherwise aiding in military efforts. Many of the Museum’s holdings relate to family history and community life. 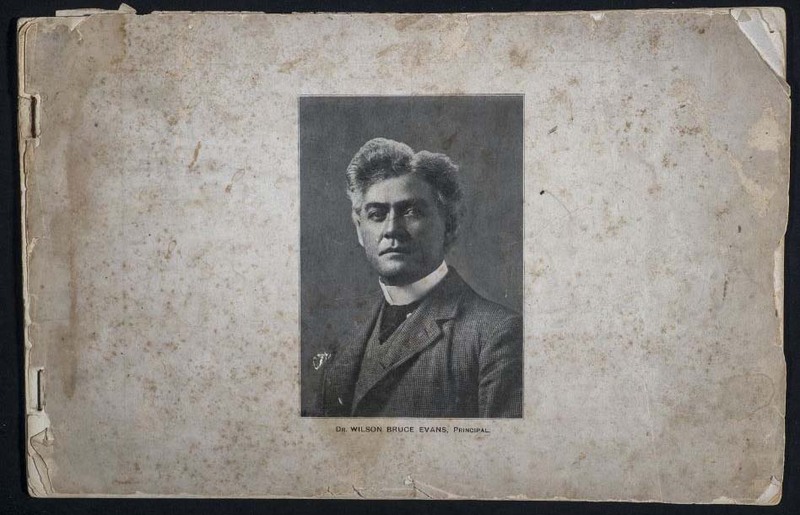 Photographs, documents, treasured heirlooms and the accompanying stories reveal the lives of men and women whose efforts contributed to shaping history. Almost a century ago, Theodore M. Sullivan enlisted in the U.S. army to fight in World War I. His Enlistment Record lists his character as “excellent,” and indicates that he was involved in the battle at Verdun, France. Several photographs show him in uniform. 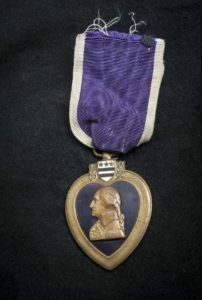 Mr. Sullivan was awarded the Purple Heart medal for military merit for eleven different wounds he sustained while fighting in Europe in 1918. 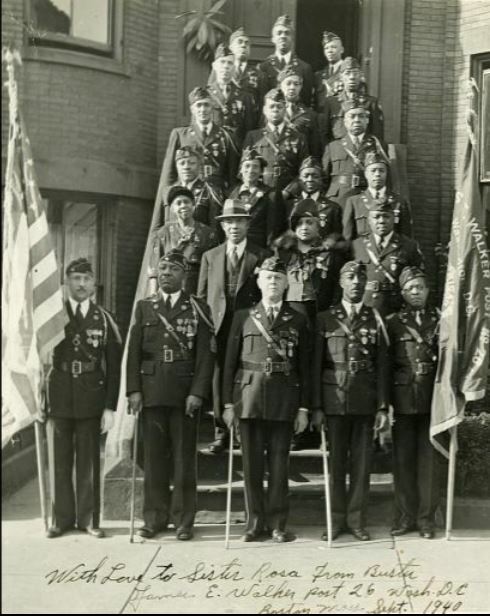 In subsequent years, Mr. Sullivan was active in the James E. Walker Post 26 of the American Legion, a wartime veterans’ organization formed in 1919. In this photograph, he is pictured in the middle, third from the top, during a visit of his Post to Washington, DC in 1940. Other members of the Sullivan family continued a tradition of service for many decades. Theodore’s half-sister, Sadie Thompson, served in the Boston Chapter of the American Red Cross for over half a century, and all of Theodore’s sons enlisted in the armed forces during World War II. 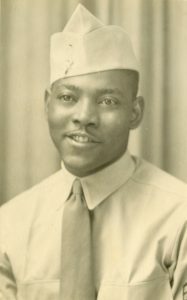 Edwin joined the U.S. Navy, while Earle entered the Tuskegee Institution’s program for training the first African American military pilots, now known as the “Tuskegee Airmen.” He was well into his training before his untimely death at the end of 1943. The display will be on view through November 16, 2016. A page from Scrapbook II, 1945-1985. 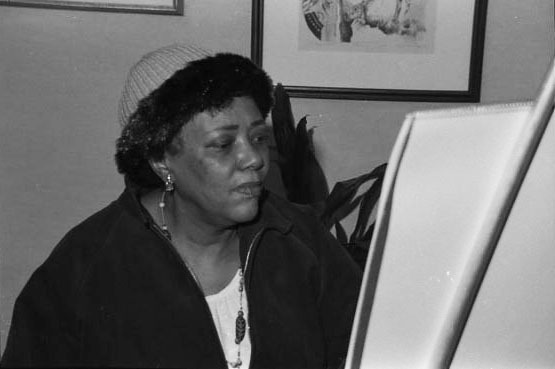 Joy McLean Bosfield Papers, Anacostia Community Museum Archives, Smithsonian Institution, gift of Joy McLean Bosfield. Joy McLean Bosfield (1924-1991) was a singer, musical director, actress, and musical instructor who performed throughout the United States, Europe, and the Middle East from the 1940s to the 1980s. 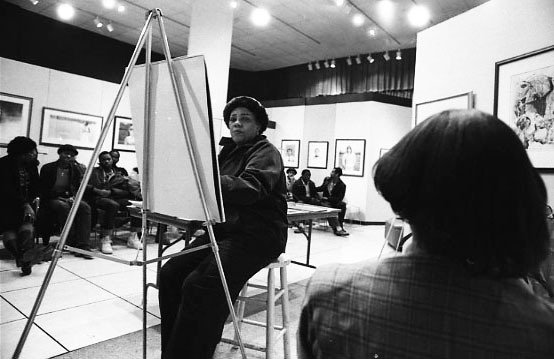 Her papers in the Anacostia Community Museum Archives, documents Ms. McLean Bosfield’s professional career through photographs, correspondence, programs, and scrapbooks. Joy was born on January 27, 1924 to John and Florence Mearimore. 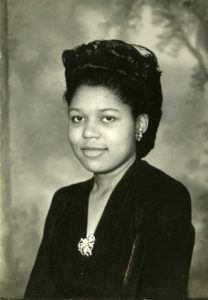 Her mother, an immigrant from Demerara, Guiana (now part of Guyana), married McLean’s father, a prominent New York businessman, in March of 1923 in New Jersey. Joy lived in Paramus, New Jersey until 1940, when she graduated from Ridgewood High School. During that same year Bosfield was accepted to the prestigious Hunter College, in New York. 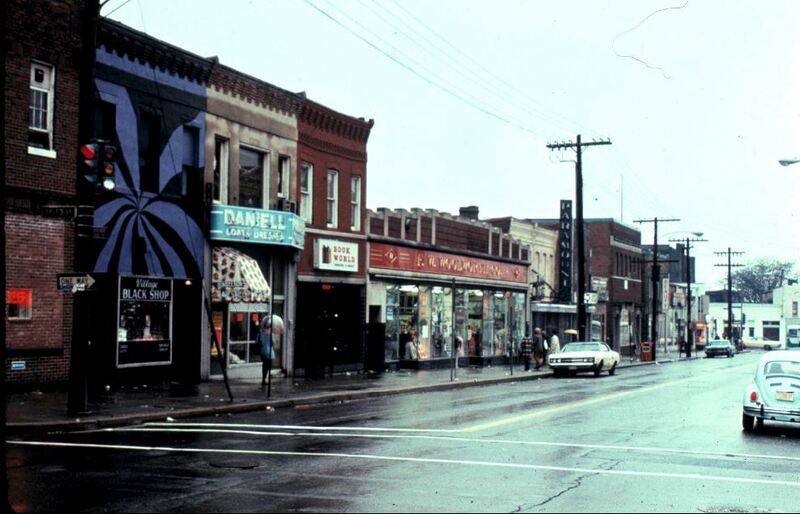 On February 26, 1945, McLean Bosfield performed her first recital at St. Martin’s Little Theatre. Three years later in 1948, McLean married Charles McLean, who was originally from British Guyana, and the couple moved to England. She began performing in Europe in the early 1950s, singing soprano leads for productions for the BBC, British churches, and English musical plays. While in London, an American production of Porgy and Bess used her talents during their international tours as a rehearsal accompanist, vocal role coach, and assistant to the musical director. After returning to the United States in the mid-1950s, Bosfield continue her career as a concert artist. In 1963 she moved to Washington, DC, where she became musical director of John Wesley AME Zion Church. She also worked for the Frederick Wilkerson Studio of Voice as a vocal coach, and managed the studio after the death of Wilkerson until the 1980s. Retiring and moving to Chapala, Mexico in 1985, Bosfield participated in community theater productions and other community functions there, until her death on April 4, 1999. Do you want to learn more about Joy McLean Bosfield’s long and distinguished career? 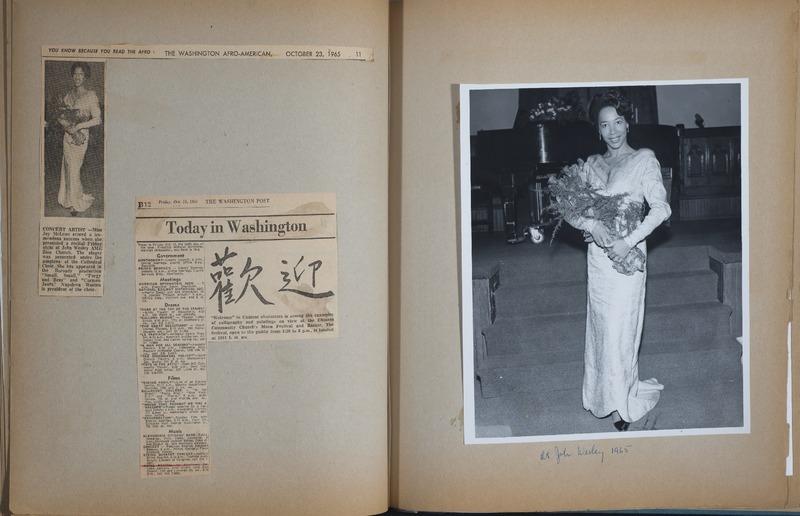 You can by helping transcribe her two fragile scrapbooks in the Smithsonian Transcription Center.